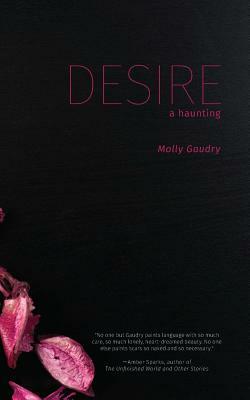 Traumatized by the events of We Take Me Apart, the unlikely heroine of Desire: A Haunting leads a silent life in the cottage that has been in her family since Hester Prynne first bequeathed it to Pearl--whose endearingly cranky spirit remains. So begins this strange friendship between "dog" and a ghost calling herself "Ogie." A different kind of love story, Desire is about how dog and Ogie learn to care for each other after only pretending to at first, about how they adopt a ghost child named William whose fascination with holidays brings celebration to the cottage, and about how long-ago dresses made from flowers stitch the three of them closer and invites new spirit into their lives.